I am sitting in the car with The Little One. She's driving for a change and I am playing with my iPhone. It started with her and I trying to remember the title of a particular song we heard at the Brand New concert. After the song Archers, the band paused to reset, and Vinnie began playing a riff that we all recognized. It was just a tease though, as they never played more than that riff. The next day I was trying to figure out what that riff was from. We decided it sounded like Lit and I jumped on Pandora to try to listen to the song. Pandora doesn't let you pick a song to listen to sadly, so then I had to go to the iTunes store to play the preview of My Own Worst Enemy. After getting a second opinion we confirmed that was definitely the riff. Mystery solved. Then, moments later I was giving props to TLO on recognizing another song with just a few notes. Testing her I reopened Pandora to see how good she was. I would pick a genre in Pandora and let it randomly choose a song to play, then TLO would have to guess the song title. She is fantastic at 80s and 90s songs. She never missed a Journey song! She falters a little in other catagories, but overall did fantastic. Until I choose the Rap/Hip-Hop category. I was starting off easy I thought. Dear Mama by Tupac. She says "Oh boy, this is that..um...Carter...Lil' Carter...Wayne...er...Jay-Z!" I get it. You are not into Rap and Hip Hop. I get it. I don't love Country, but I know the difference between Kenny Rogers, Johnny Cash, and Garth Brooks! Even if you don't listen to rap music, you need to know the difference between Jay-Z, Tupac, and Biggie Smalls. Period. End of Story. This post is for The Little One. 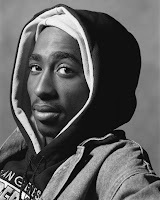 Tupac Amaru Shakur (or 2Pac or simply Pac) is my favorite. A poet. He could weave a tale into a song. His distinctive voice, lyrical style, and untimely death made him one of the best-selling music artists in the world. West Coast Rap is defined by 2Pac. The East Coast versus West Coast rap fued probably gets its start with Tupac claiming that Biggie Smalls and Puffy Combs facilitated him getting robbed and shot five times. Tupac released 5 albums while alive and another 6 released after his death. Christopher George Latore Wallace (aka Biggie Smalls or The Notorious B.I.G. or simply Biggie) is often believed to have brought East Coast Rap to the masses. Signed by Sean "Puffy" Combs and then released Ready to Die which went Platinum 4 times and puts Brooklyn back in the the rap spotlight. His unmatched style and ability to make multi-syllabic rhymes sound smooth and easy make him a hit in the rap scene. Life After Death goes to number one after Biggie is shot outside an award show. Many believed this shooting was in retaliation to the shooting of Tupac in Las Vegas. Either way, another rap legend ends up dead. Shawn Corey Carter (or more commonly known by the stage name Jay-Z) is a Grammy award winning artist and a business entrepreneur that made his way from the Marcy Projects in New York very much on the backs of the success from Biggie and Tupac. 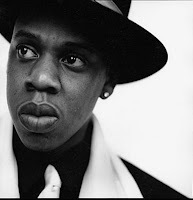 Jay-Z has released 11 albums and has appeared on countless other albums as a collaborator. He owns the New Jersey Nets and is the current holder for the record of most number one albums by a solo artist on the Billboard 200. His style is diverse, able to rap fast or slow and always making it look easy. These three legendary artists are very different, yet form the backbone and voice for rap and hip-hop for much of the 90's and even up to current day. Although there are many other amzing rap acts that you should know about, these three artists you must know... and know well.